Complete your next dental procedure with confidence and comfort. For some people, the fear of dental work often keeps them from pursuing and receiving the dental care they need. At Dakota Dental, the experienced family dentists work to ease patients’ worries. One way Dakota Dental’s Apple Valley, MN, dentists help to alleviate dentist dread is through sedation dentistry. 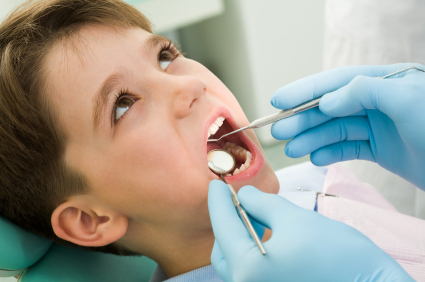 At Dakota Dental, sedation dentistry is the method of choice for handling both adult and pediatric apprehensions. What is conscious sedation? It is simply the combination of medications that work to help block pain and help patients relax. This allows comfortable, safe care where patients are able to recover quickly. The medication wears off within a relatively short period of time, patients may return to daily activities much sooner after dental care procedures. Dakota Dental general dentists have significant experience and comprehensive knowledge of oral and intravenous (IV) sedation medications and techniques. They have found sedation dentistry is a significant help when working with patients who tend to have gagging problems with dental work, fear of needles and shots, or severe anxiety about visits to a dental clinic. Because Dakota Dental cares for its patients’ holistic well-being—including physical and mental security—it not only offers comforting medication regiments but also comfortable surroundings. From relaxing and cheery waiting areas to bright and clean treatment rooms, Dakota Dental works to surround patients with an environment that puts them at ease. Learn how you can benefit from sedation dentistry at Dakota Dental Apple Valley dental clinic or request an appointment by visiting www.dakotadental.com or by calling 952-431-5774. Are Baby Teeth Worth More Than A Quarter Under A Pillow?